The invitation was extended on Wednesday by India's Indus Commissioner under the IWT to his Pakistani counterpart, sources in New Delhi said. NEW DELHI/LAHORE: India has written to Pakistan proposing a visit by its experts to inspect two hydroelectricity projects on the Chenab river in Jammu and Kashmir from January 27 to February 1, which is mandatory under the Indus Waters Treaty (IWT)between the two countries, sources said Friday. India is yet to receive an official confirmation about the acceptance of the invitation from Pakistan, a senior official said. After the trip by Pakistani experts, Indian officials will also make a reciprocatory trip to Pakistan under the treaty. On Friday, Pakistan's Federal Minister for Water Resources Faisal Vawda termed this as a "major breakthrough" and said that India had "agreed" to allow the inspection of its two hydropower projects on the Chenab river in Jammu and Kashmir by Pakistani experts later this month. "Due to our continued efforts there's a major breakthrough that India has finally agreed to our request for inspection of Indian projects in Chenab basin," Vawda said in a tweet. Sources in New Delhi, however, said it was India which had proposed the visit. During the 115th meeting of the Permanent Commission for Indus Waters (PCIW) held in Lahore from August 29-30 last year, both the commissioners agreed to undertake the treaty mandated tours in the Indus basin on both sides, the official added. The tour was originally scheduled in October 2018 but was postponed because of elections of local bodies in Jammu and Kashmir. Under Article VIII of the treaty, both the commissioners are mandated to undertake, once in every five years, a general tour of inspection of the rivers for ascertaining the facts connected with various developments and works on the rivers on both sides. So far, no tour could be held in the current five-year block which ends in March 2020. "As a federal minister I've directed my team to visit and carry out inspection of projects - 1,000 MW Pakal Dul and 48 MW Lower Kalnal - from January 27 to February 1. It's indeed a feather in the ministry for water resources' cap. We welcome this gesture from India and we expect the same spirit for resolution of other outstanding issues," Vawda said. The Pakistan government had earlier said that the design of two under-construction hydroelectric projects of India in the Chenab basin violated the provisions of the IWT. India has said it has the right to build these projects and holds that their design is fully in compliance with a set of guidelines. The PCIW, formed under the Indus Waters Treaty, was signed between India and Pakistan in 1960, and it includes Indus commissioners of both countries. The treaty provides for both the commissioners to meet at least once every year, alternately in India and Pakistan. 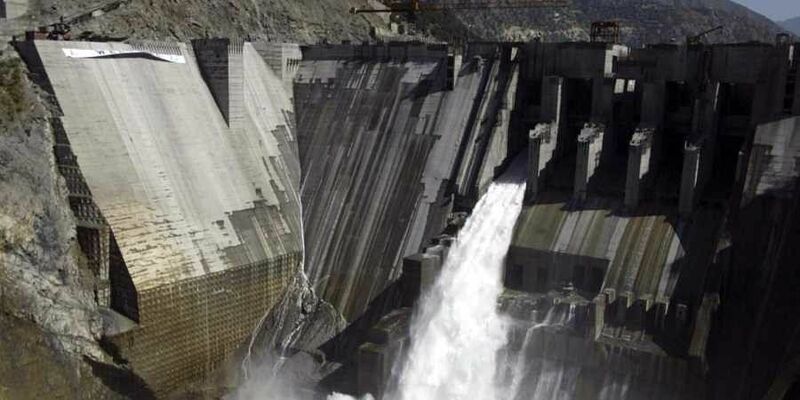 However, India claims it has unrestricted rights to develop hydroelectric power projects on the western rivers within the specified parameters of design.